Yours is very probably a PB-50 which had a different, Fender 50's style, easily reversible decal. I'm not convinced about the logo--if it's from 1984 it should say Hard Puncher on it, even if it's a lefty. Magnus--do you have a catalogue with this logo from a different year? 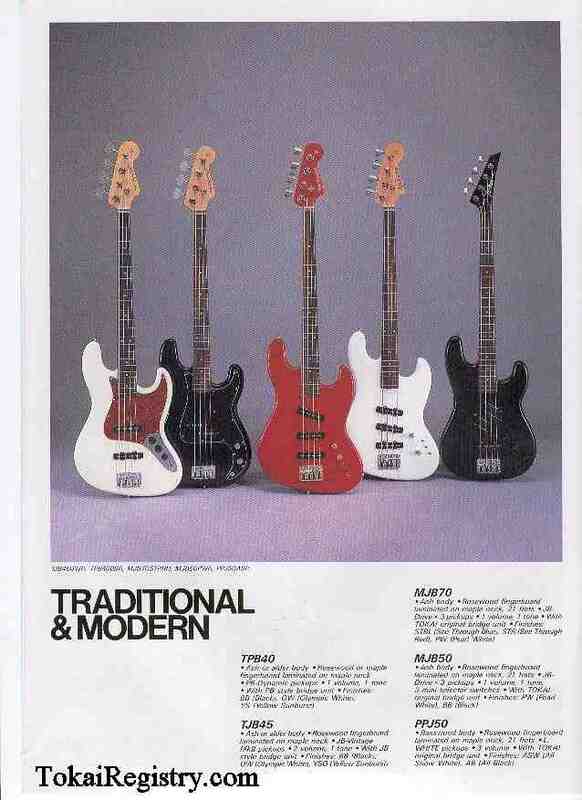 The 90s basses on the Registry website's catalogues all have pointed headstocks. It could still be a Tokai bass with a replaced decal, but you'd have to look inside for production stamps on the neck and in the PU/control cavity to prove it. i mite be able to get a pic of the electronics,pu cavity if that would be helpful!